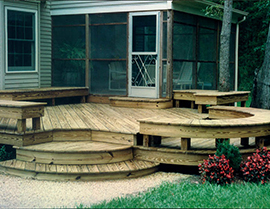 Deck Doctors are the leading providers for deck preservation and deck restoration. We specialize in preserving and maintaining decks and wooden surfaces. We provide staining, power washing, sealing, deck staining, and restoration for wooden decks. The Deck Doctors can renew, protect, and extend the life of your deck with our quality services. Low Pressure Power Washing: The Deck Doctors offer low pressure power washing for your wood deck. 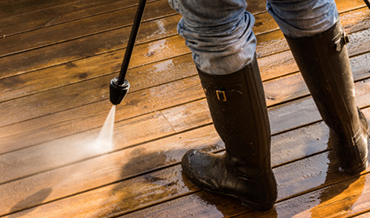 Low pressure power washing is essential for wood decks to clean and remove dirt and debris that gets into the cracks and crevasses of the wood, and remove any old and faded stain. Our certified technician’s will power wash the deck thoroughly. The deck will be free from rotting, and ready for restoration. Staining and Sealing: The Deck Doctors technician’s offers quality staining and sealing for wood decks. We use the best commercial treatments available that are oil based, so our customer’s decks will be preserved from wood rot, fungus, and harmful UV ray damages. 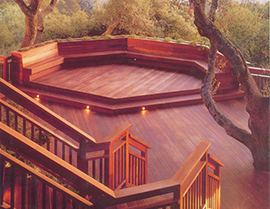 Our staining and sealing restores the deck’s appearance with a rich attractive appearance. The Deck Doctors uses commercial grade oil stains that will condition and protect your wood deck. 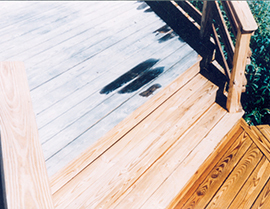 The oil stain will protect wood decks from rain, snow, ice and the sun. The oil stain will also prevent fungus from growing along with providing a beautiful look. The Deck Doctors uses only commercial grade oil stains, so our customers can simply clean their deck to keep it looking great at all times. The Deck Doctors also offers a yearly maintenance program too, which provides low pressure power washing, sanding, and staining, so homeowners can have enjoy their decks without the worry of unwanted maintenance. The Deck Doctors deck maintenance will keep your wood deck lasting for many years. 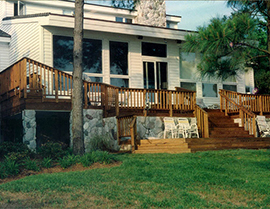 The Deck Doctors is a family-owned and operated business that is the leaders in deck preservation and restoration. Our deck technicians are certified, licensed, and qualified for all wood decks. We have the experience to make your deck look new again. We have the experience to provide pressure washing, sanding, staining, sealing, and deck maintenance. Does your deck need a staining? You can find out quickly by splashing some water on your deck. If the water quickly absorbs into the wood, then it is time to add staining or sealing. The Deck Doctors offers oil-based staining, because oil based staining adhere to the wood, and the stain doesn’t peel off the deck like water based stain. The oil stain offers protection, beauty, and longevity. If you have a deck that you want or need preserved or restored, then contact The Deck Doctors today. We can schedule you for a free estimate. One of our trained technicians can evaluate and inspect your deck to see exactly what your deck needs. 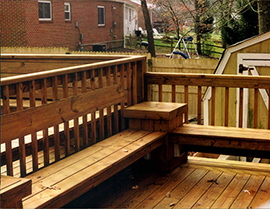 The Deck Doctors is the leading deck restoration and preservation provider. We look forward to restoring and preserving your deck today. The Deck Doctors can save your deck with our wood deck services. Contact us today, so we can restore your deck today. If your deck is in need of repairs, our deck technicians can make the necessary repairs. Contact us today.